Starrett - Precision, Quality & Innovation Since 1880. Starrett tools are essential for inspecting and cutting an endless number of products that are measured, cut, formed or assembled. 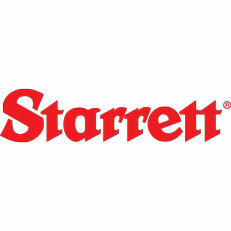 By far the largest consumer of Starrett tools is the metalworking industry in general, and more specifically the automotive, aviation, marine and appliance industries, farm equipment shops, machinists, DIY, and professional tradesmen. The broad Starrett product range includes precision tools (micrometers, verniers, dial indicators & gauges), tape measures, levels, electronic gauges, dial indicators, gauge blocks, and also granite surface plates. In addition to tools, Starrett is also a prominent leader in saw blade products, with a broad line of welded and coiled band saw blades, hacksaws, hole saws and jig and reciprocating blades. There are blades available to cut anything from metal and wood to exotic space age materials.